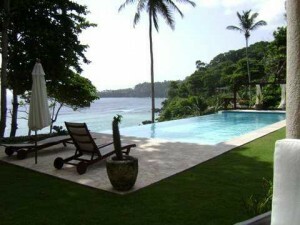 Relocate – retire in the beautiful Dominican Republic. If you dream of a life on a tropical island, look no further. Relocate and retire in the Dominican Republic. Direct, daily air service from the USA and Canada as well as from Europe is well established, serving several major international airports. The climate is perfect for warm nights and warmer days. Constant trade winds blow from the east all year bringing an ideal mix of abundant sunshine and adequate rain. The island nation is large and diverse with lovely beaches and lush, green mountains. The government of the Dominican Republic encourages foreigners to relocate and retire in this wonderful country. Labor is inexpensive and a great choice of building materials and skilled contractors means that a fine choice of tropical homes in a variety of settings is available. Want to start a business in paradise? Hundreds of opportunities await the new resident from agriculture and dairy farming to manufacturing in the numerous free zones. The stable, friendly government of the Dominican Republic welcomes entrepreneurs. For those interested only in staying for a few weeks or months each year, no special permits are needed. If the intention is to work, start a business, relocate – retire for long periods, foreigners may easily obtain residency in the Dominican Republic. The process is fairly simple. The applicant will need an original birth certificate, valid passport, good conduct police report from their home country and a simple medical exam performed in the Dominican Republic. Approval takes a couple of months. Once the approval is given, a legal resident may work and conduct business without restriction. A legal resident passes quickly through inbound immigration and pays no tourist fees. And once established, the legal resident may import personal and household items, including an automobile, without paying duty. There are reputable customs agents who will speed the process for the new resident, saving time and money. The Dominican Republic is an interesting mix of the traditional and the modern. Fiber-optic lines have been installed nationwide, ensuring up to date internet, phone, and TV service. Cell phone towers are located near every population center and the most modest beach bar will have good Wi-Fi. Shopping for basics is easy. Supermarkets filled with fresh produce, bread, meats, and fish as well as goods from all over the world will be found in every tourist destination. International restaurants, lively nightlife, and specialty shopping are abundant. When it comes time to shop for a home, the choices are many. From modest mountain bungalows to ultra-modern condo projects, the new resident wishing to relocate or retire in the Dominican Republic will find it all. There are well-established communities of smaller homes, reasonably priced, with nearby beaches and other amenities. Condo projects are available in many locations including direct beachfront. A luxury villa equal to anything in Atlantic Florida or the South of France may tempt the resident. 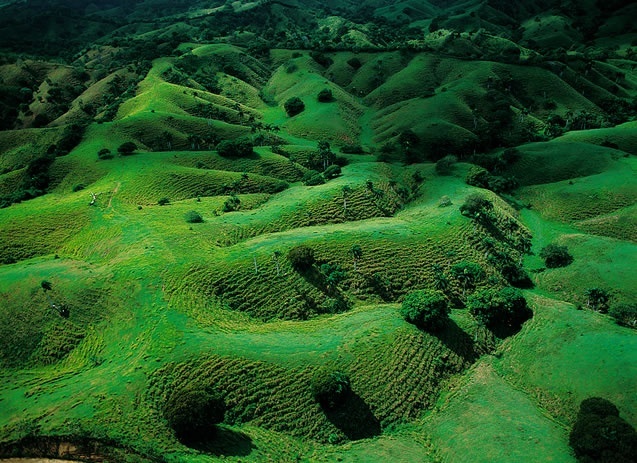 Perhaps a few hundred acres of lush farmland high in the green hills overlooking the sea will appeal. Whatever the reason for coming, it is certain that you will love your new home. The welcoming people and ideal climate will entice you. All you need is here…and more. 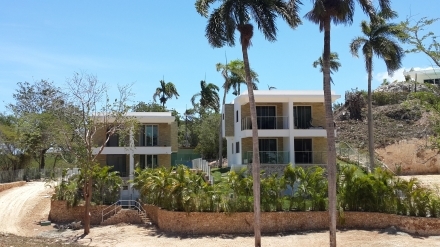 Condo and townhouse prices in a new gated residential development in Sosua on the north coast of the Dominican Republic are starting at US$ 39.500 for a 1 bedroom condo and $145,000 for a townhouse. A common area for the condos and the townhouses will be built with a BBQ pit, a common swimming pool, and a covered event/activity space. Alternatively, live in a new beachfront, Victorian-style condo complex next to the sparkling waters of Sosua Bay.Two and three bedroom units range from US$ 286,000 and US$452,000. The property is interlaced with gardens and palm trees. It is close to downtown with its restaurants, bars, discos, casino, shops, and supermarkets. The Perfect Cottage is a one-bedroom, cathedral-ceilinged, one acre + charmer located smack-dab on the seaside hills of Cabrera, one of the lushest areas of the Dominican Republic. It is virtually one of a kind. Usually, these properties are the domain of six and ten bedrooms, sprawling villas. Not here. As if it wasn’t enough that the Dominican Republic’s north coast offers some of the country’s most beautiful and pristine beaches, now the beachfront tourism community of Sosua has been awarded yet another gift of nature – Playa Alicia. The new beach began forming in 2003 when, to the surprise of locals and tourists, white sand brought in by ocean currents began to accumulate near the picturesque village of “El Batey.” The village was founded in 1938 by 500 Jewish immigrants who traveled to this remote area in their attempts to run away from Nazi Europe. The Dominican government allowed them to settle in this particular area. It took a few years for “Playa Alicia” – or Water Front beach, as it is currently called – to form. During the 1950’s and 1960’s the area was used as a dumping ground for leftovers from a local slaughter house. This situation attracted lots of sharks to the nearby waters. 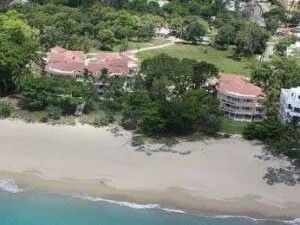 Sosua is a resort community characterized by small and quaint hotels, apartments and villas. The town offers visitors a diverse range of local and international restaurants. All-inclusive hotels, such as the ones that characterize the country’s easternmost region, are almost non-existent in this particular town. (Jose Luis Chavez, text, and photos). 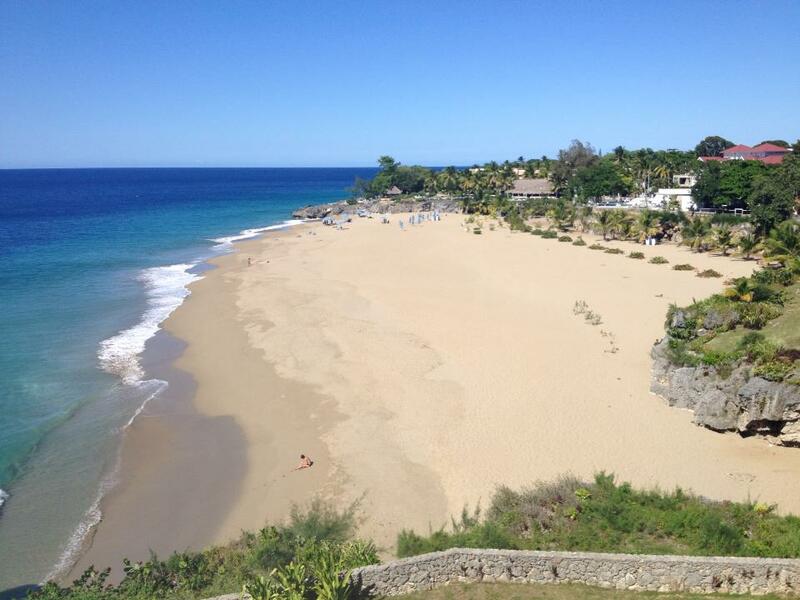 Today, Playa “Alicia” has become one of Sosua’s most beautiful natural attractions. The beach can be found at the end of Calle Dr. Rosen in Parque Mirador Sur. The small park is a lovely place to watch the most beautiful sunsets while sitting on a bench and enjoying a cold Presidente beer. Luxury Caribbean rental villas in different towns like Sosua, Cabarete, and Cabrera which are ideal to get married are offered by Select Caribbean Properties. Great food catering and professional venue planning are all available at a fraction of the cost of similar offerings in, say, the United States or Europe. We have wonderful wedding planners and photographers for your venue in our team. Have you recently become engaged, and are you looking into wedding venues? 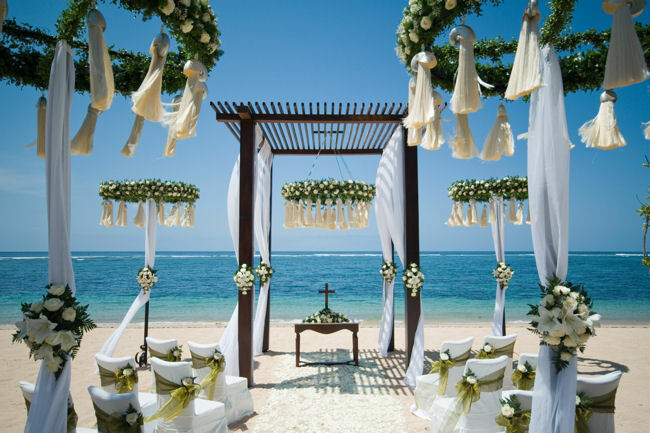 For many reasons, getting married in the Dominican Republic is a good choice. It is the perfect destination. Furthermore, bureaucratic procedures in this Caribbean country, while similar to those in Europe and North America, are relatively simple and inexpensive. 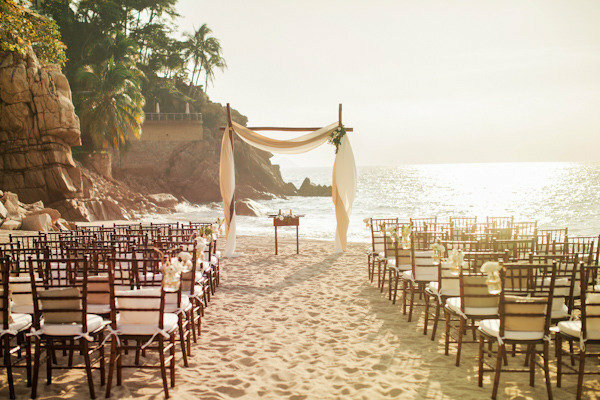 Select Caribbean Properties in combination with great wedding planners will find you the perfect villa, large or small. We are offering full packages and access to many activities to keep the party happy and occupied. In most areas, caterers are available to prepare meals, serve drinks and handle all aspects of servicing the event. Most have access to furniture and decorations, cutlery and glassware. All have arrangements with florists and that special baker to craft the wedding cake. These services are less expensive in the Dominican Republic than almost anywhere else that calls itself a tourist destination. Independent event-planning services are available as well. Some specialize in weddings and can coordinate everything from accommodation to catering to music. They will interview you at length to determine your taste in food, music, and champagne. They will fit your wedding party into hotels or villas that best suit your needs and budget. We can help you so that your dream comes true. 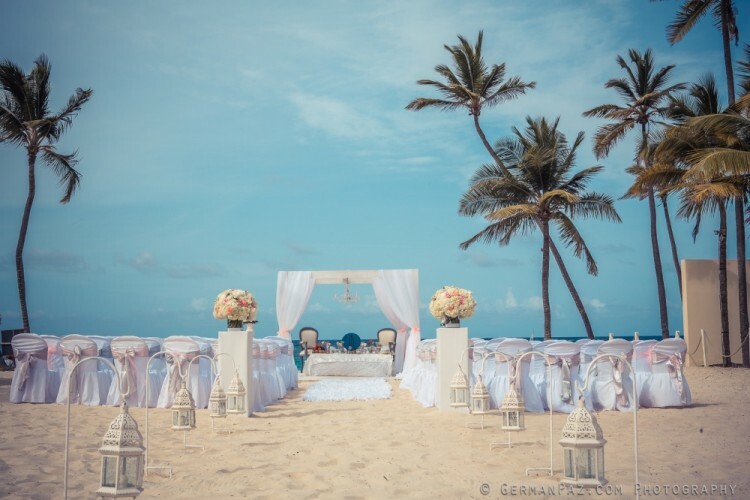 No matter if you prefer your dream wedding on a sandy beach or in tropical hills, we will make sure you have the best time of your life. The Dominican Republic is a remarkable country, full of fun-loving, hard-working people who will reward your choice of this Caribbean island with spectacular beaches, tropical rainforests and high, cloud-capped mountains. Every imaginable warm-weather sport offers your wedding guests a wide variety of activities while on the island. And the balmy nights, caressed by the ever-present trade winds, will create the perfect ambiance for your intended nuptials. Proof of birth, passport, two non-family witnesses and a selection of either a Catholic or Civil ceremony are required. For two non-Dominicans, the cost of a civil wedding will be RD$ 20,000, or about US$ 475. Being a tourism hub, the Dominican Republic offers much in the way of accommodation. Pleasant, budget-priced hotels are widely available, as are 5-star resorts and everything in between.